Afghanistan’s emergence as a modern nation will involve negotiating a cultural transition that integrates enduring traditions with viable change. Three themes have endured throughout Afghanistan’s long history. Its central government has always been weak; it has always had a strong and independent society; and its people have always been somewhat mistrustful of outsiders. Notwithstanding those traits, over the past 13 years U.S. policy in Afghanistan has aimed to build a strong state and change and modernize society through outside assistance and expertise. If we are to make the most of our investment in Afghanistan, the task now is to identify the traditional features of Afghanistan that endure, and to distinguish the tangible and substantive changes that will redirect Afghanistan’s political destiny from those that are merely superficial. In the following pages I offer some pointers to assist in that task. 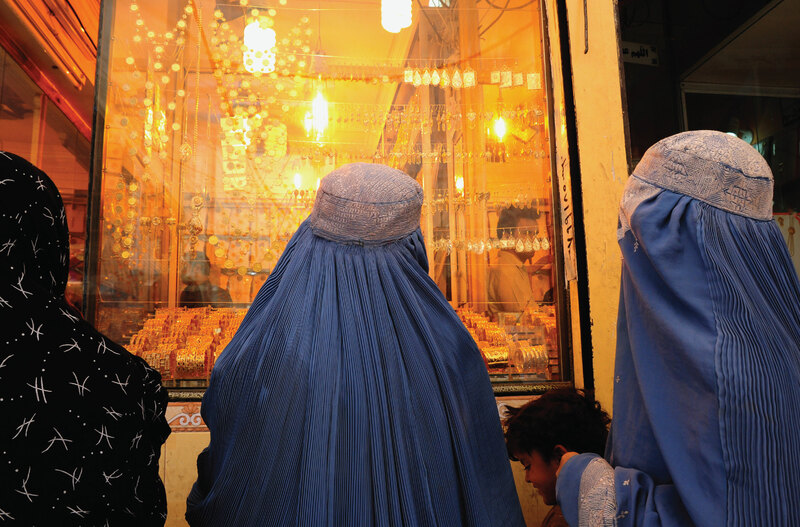 Burkha-clad women window-shop for jewelry at the gold market in Herat city. 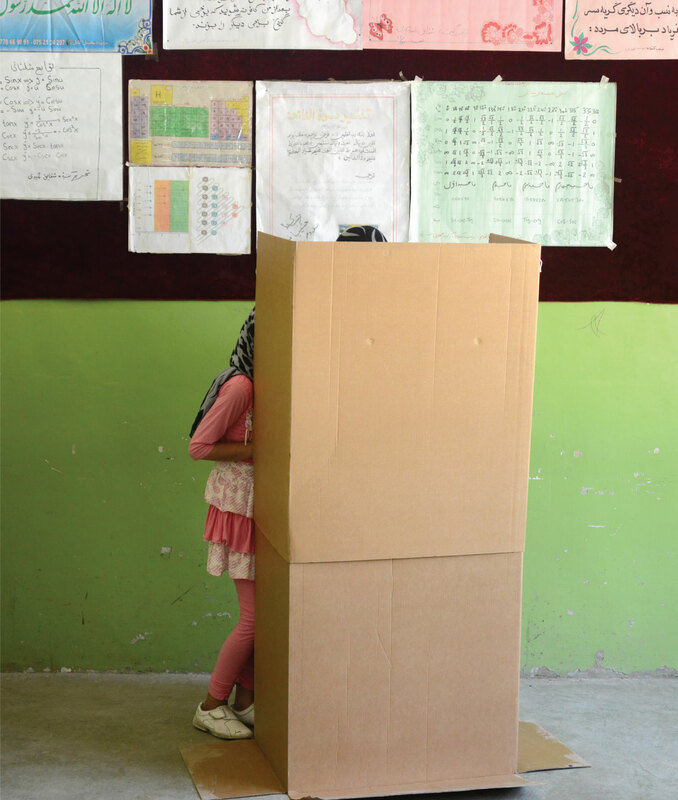 A young girl accompanies her mother into a voting booth in a secondary school in Kabul during the second round of the 2014 presidential elections. For most of the 20th century, Afghanistan was a poor, tranquil, slowly developing country. The three pillars of stability were a moderate form of Islam that regulated daily life, a tribal organization of society based on norms of traditional leadership and a state dominated by royalty that had two essential functions: to represent Afghanistan to the world as an independent and Islamic entity, and to mediate internal conflicts when necessary. Each of these pillars was fundamentally transformed by Afghanistan’s clash with modernity in a way that turned them from bases of stability into sources of conflict. The clash, which began with the 1973 coup by Mohammed Daoud Khan against his cousin, King Zahir Shah, became irreversible with the communist coup of 1978. The ensuing policy of emptying rural areas, which the historian Louis Dupree describes as “migratory genocide,” undid the tribal structure of authority. The new structure made no sense in Afghanistan’s rural or urban areas, or in the refugee camps in Pakistan and Iran to which millions of Afghans fled. It led to an Islamist reaction, which radicalized politics and religion, taking the latter far beyond its traditional function of regulating daily life. The influx of arms and the formation of Islamist mujahedeen groups during the resistance to the Soviet occupation created new sources of power and even more radical ideologies. This also transformed Afghans’ traditional, quasi-ceremonial use of violence to resolve conflicts between communities into a pattern of atrocities. The defeat of communism temporarily legitimized the Islamist factions, but was insufficient as a governing ideology or a means of uniting these factions. Each of these pillars was fundamentally transformed by Afghanistan’s clash with modernity in a way that turned them from bases of stability into sources of conflict. The rise of the Taliban in the mid-1990s was both a reaction to the chaos and a search for order by a new generation nostalgic for tradition (especially in Pashtun communities), but fundamentally uprooted and unable to replicate it. Thus, Afghanistan’s violent political struggles are less a question of typical tribal unruliness than a chaotic search for political order amid the remnants of the pillars of stability smashed by Afghanistan’s clash with modernity. This search has been frustrated by the lack of any commanding political figure, as well as by the interventions of outside actors. Further, the failure to find political consensus has created habits that actually make the search for consensus more difficult. Nowhere is this better demonstrated than in the failure of Afghan leaders to take advantage of the opportunity offered to them in 2001. The toppling of the Taliban regime by U.S. forces and the massive infusion of resources to back a new political order created political space for both order and modernization for the first time since the 1960s. This space was, however, threatened from the beginning by the gradual re-emergence of two older and more destructive political movements. First, the Taliban began to reconstitute itself within sanctuaries neighboring Pakistan provided. At the same time, powerful figures who had emerged during the jihad and civil war also began to reconstitute their informal power. They were participants in the new political order to the extent that it provided them resources, but they were also threatened by it—either because a genuine democratic order might exclude them, or because they lacked the ability to operate effectively in a regime based on law and constitutionality. 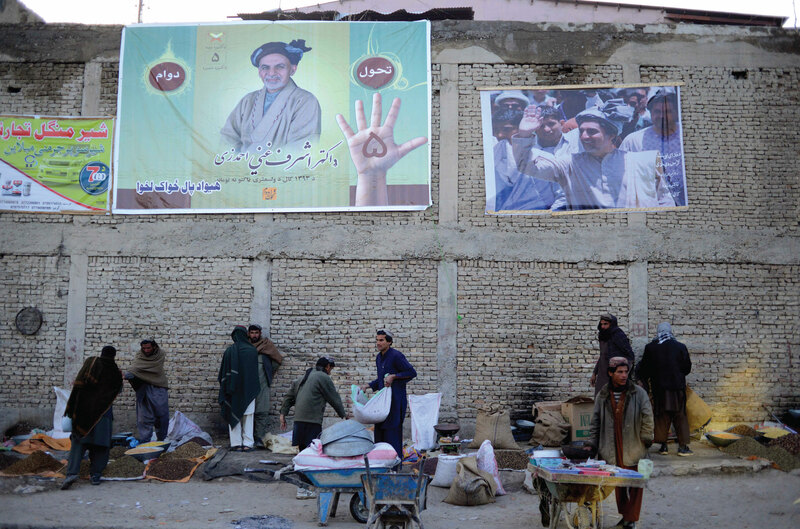 Posters of presidential contenders Ashraf Ghani Amadzai and Abdullah Abdullah above a street market in Gardez, the capital of Paktia province in southeastern Afghanistan. The resulting combination of formal and informal power, wielded at the national and subnational levels, ended up delegitimizing the formal power structures. This, in turn, made the Taliban an increasingly attractive alternative. For a local leader who ended up on the wrong side of a dispute because his rival used his formal position to prevail, the Taliban offered a means of resistance or revenge, regardless of how one felt about sharia. Threatened from within and from without, the modernization project faced long odds. The bruising 2014 presidential election—particularly the manner of its resolution—was perhaps the final decisive act in the struggle for modernity and order. There was a genuine democratic activism in the lead-up to the election, in particular among Afghanistan’s massive youth bulge (according to the United Nations Development Program, 68 percent of the nation’s population is under the age of 25). There was also a significant amount of fraud, which political elites both perpetrated and used to delegitimize the process. Unhappy backers of the losing candidate, Abdullah Abdullah, threatened to use their informal power against the state. This forced the Obama administration to intervene directly to broker a compromise. As happened earlier, this intervention again privileged accommodation for stability over the logic of modernization. The bruising 2014 presidential election—particularly the manner of its resolution—was perhaps the final decisive act in the struggle for modernity and order. After months of negotiations between the two camps and an unprecedented audit of every ballot box, a power-sharing government finally took office in September. But by acquiescing to runner-up Abdullah’s request not to release the results of the official audit—which showed he had decisively lost—Washington not only locked traditional leaders into the institutions of governance, but institutionalized their rivalries. The Taliban, meanwhile, took advantage of Kabul’s power vacuum during the dangerous summer of the election to launch a series of debilitating attacks, taking on Afghan forces closer and closer to the capital. Though there is no imminent danger that Pres. Ghani’s government will be militarily defeated, the struggle has significantly weakened it at the outset. There is a sort of stability; but there are also huge governance challenges for an administration that is more divided and less legitimate than it should have been. The key to managing the traumatic transition was always to inject as much certainty as possible into an uncertain situation. The election was an essential part of this strategy, intended as it was to ensure the continuity of the 2004 constitution—which, for better or worse, set out rules for power that were at least superficially accepted by powerful elites. This confidence was shaken by two developments. First, Afghan President Hamid Karzai announced in December 2013 that he would not sign any new Bilateral Security Agreement with the United States. Then, after energetic diplomacy failed to budge Karzai, President Barack Obama announced in May that the U.S. would leave just 9,800 combat troops in Afghanistan in 2015, which would be withdrawn by the end of 2016. Nargis Nehan, director of Equality for Peace and Democracy, gives a press conference in February during a seminar on women and elections in Kabul. The seminar brought presidential contenders, including eventual winner Ashraf Ghani, together to field questions from leading women’s rights advocates and civil society representatives from around the nation. Pres. Ghani’s government has now signed the BSA, but the Obama administration still plans to remove nearly all troops before leaving office. Looked at in the most positive light, this can be a forcing mechanism for Afghan leaders to develop sufficient cohesiveness to function on their own. The jury is still out on whether they are capable of it. In the meantime, U.S. policymakers and diplomats must develop new habits of their own. Afghan “rentierism” means that money from outside has always had an outsized influence on Afghan domestic politics. This has prevented Washington from having a typical bilateral relationship with Kabul. At a conceptual level, the relationship has been defined, especially since the mid-2000s, by U.S. rhetoric pushing Afghan leaders to “take the lead”—even as Washington continues to invest billions of dollars without much to show for it. As Western troops withdraw and aid flows are reduced, Afghanistan’s dealings with the United States will need to become more like traditional bilateral relationships. This will entail confronting several thorny dilemmas, however. For instance, the Ghani administration has listed making peace with the Taliban as a key priority. Washington will need to decide to what extent it can allow Kabul to reach whatever accord it can with the Taliban and Pakistan, even if such arrangements undermine interests that the United States has up to now described as critical, such as the guarantee of civil and political rights to all Afghans. In confronting these dilemmas, U.S. policymakers will be burdened by the massive investment they have made in rebuilding and protecting Afghanistan, and the high hopes it once had for the country’s future. They will also have to start treating their Afghan counterparts as colleagues rather than clients. The danger is that, if not managed well, frustration on the U.S. side may lead to temptations to disengage non-strategically. Instead, the Obama administration should use these next two years to pave the way for a relationship characterized by different expectations and different means of leverage than before. The key to managing the traumatic transition was always to inject as much certainty as possible into an uncertain situation. Whatever the unachieved hopes since 2001, America’s involvement in Afghanistan has transformed the country in ways that are not yet fully apparent. As an older generation of disappointing political leaders fades from the scene, a younger, more urbanized population is emerging. Since they are, for the most part, reluctant to forgo those elements of modernity that the international presence has offered, they are likely to favor good relations with the West. At the same time, both the Taliban and a generation of rural youth have had more traumatic interactions with the international presence. Like their urban peers, many of them have used technology to engage with the modern world. But this has exposed them to globalized jihadist ideologies like al-Qaida and the Islamic State group. The future in Afghanistan lies not between the old generation and the emerging one, but between the cities and the towns—between an urban-rooted state struggling to assert itself and a rural-based society that remains suspicious of state power. While these old patterns endure, Afghans’ clash with modernity has already had irreversible consequences. A modern Afghanistan will not look exactly like the one that was imagined by international policymakers a decade ago. But neither will it look like the society of the past. 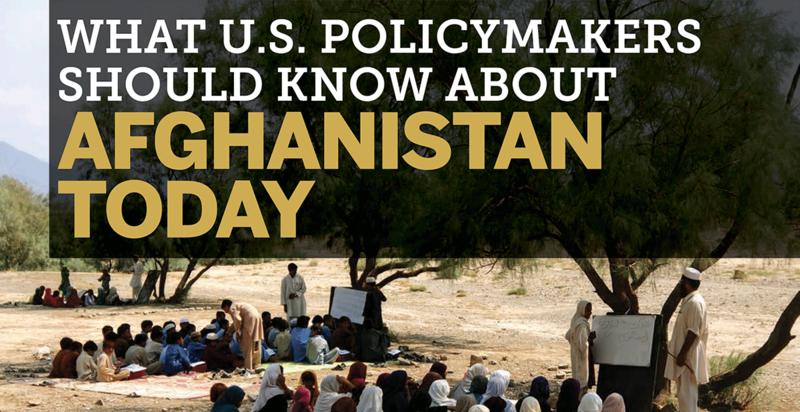 Scott Smith is the director of Afghanistan and Central Asia programs at the U.S. Institute of Peace. Prior to joining USIP in April 2012, Smith spent 13 years at the United Nations, focusing primarily on Afghanistan and democratization issues. 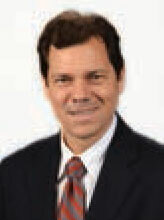 An adjunct professor at Columbia University’s School of International and Public Affiairs, he is the author of Afghanistan’s Troubled Transition: Politics, Peacekeeping and the 2004 Presidential Election (Lynne Rienner Publishers, 2010), as well as a number of articles and book chapters.